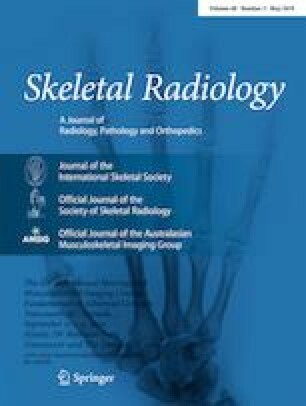 The aim of this study was to evaluate the sensitivity and specificity of radiographs in identifying incomplete atypical femoral fractures and to determine interobserver and intra-observer reliability. Anterior–posterior and lateral radiographs of 10 femurs with incomplete atypical femoral fractures confirmed using bone scintigraphy and magnetic resonance imaging, and 40 femurs without incomplete atypical femoral fractures confirmed using bone scintigraphy, were reviewed by 4 orthopedic surgeons and 4 radiology specialists. Sensitivity, specificity, accuracy, positive predictive value, and negative predictive value were calculated to determine a diagnosis of incomplete atypical femoral fractures. Interobserver reliability was measured using Fleiss’ kappa value, and intra-observer reliability was ascertained using Cohen’s kappa statistic. Mean sensitivity, specificity, accuracy, and the positive and negative predictive values were found to be 89, 89, 89, 67, and 97% respectively, in diagnosing incomplete atypical femoral fractures using radiographs. Interobserver reliability was found to be at a good level (Fleiss’ kappa = 0.66, standard error = 0.03, 95% confidence interval = 0.61–0.71). Intra-observer Cohen’s kappa values ranged from 0.53 to 0.91. The use of radiography was satisfactory in identifying incomplete atypical femoral fractures, and the level of interobserver agreement was found to be good. As radiographs are associated with low positive predictive values, an advanced imaging method should be used when an increase in femoral cortical thickness is the only contributory factor to suspicion of an incomplete atypical femoral fracture. All of the procedures performed in this study involving human participants were in accordance with the ethical standards of the institutional and/or national research committee and with the 1964 Declaration of Helsinki and its later amendments or comparable ethical standards. The need to obtain informed consent was waived as this research comprised a retrospective review of the medical records.